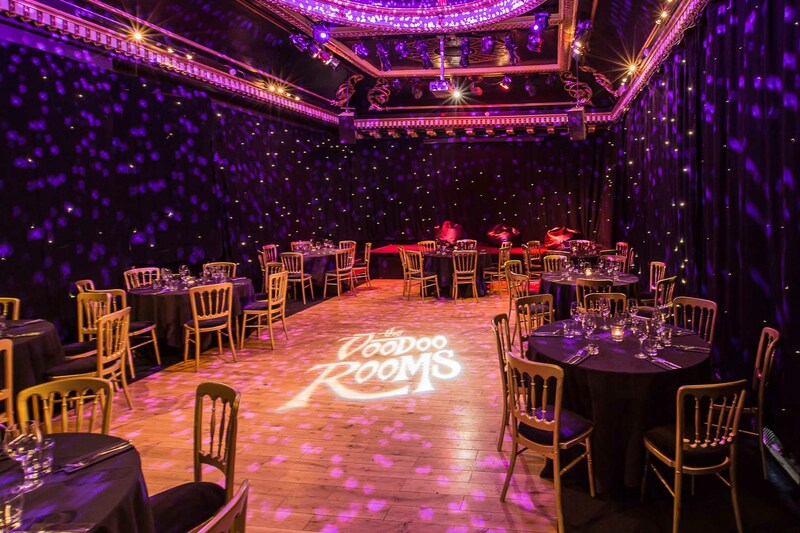 The Voodoo Rooms is an unique and elegant option for those wishing to celebrate their wedding reception in somewhere a little different from the norm, whilst still retaining a charming character to make your special day memorable for all the right reasons. The Ballroom, set up for a wedding breakfast, viewed from the top table. Whether its a simple drinks-only reception or a wedding breakfast, party and buffet for 200 we can provide an option that will suit you in one (or more) of our functions suites and wood-panelled bars. 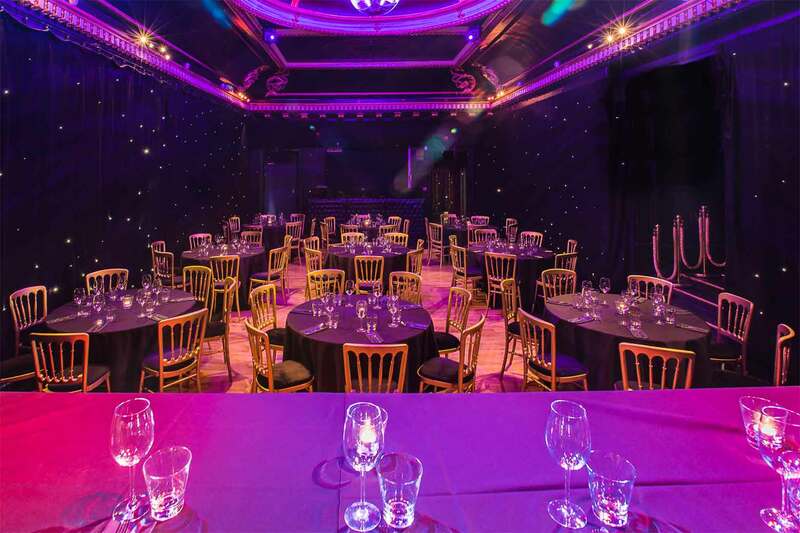 Both function rooms are fully equipped and can be formatted as per your requirements. Please feel free to take our virtual tour here or make an appointment with our events team to view our venue in person and discuss options. We have a sample wedding breakfast menu below which can be tailored to meet your exact needs. If you'd like to view a sample canapes selection click here. We have a pdf pack available to download here with further information, alternatively please feel free to contact our events team by email or phone to discuss your enquiry or arrange a viewing. The events office is open Monday - Friday, 9am - 6pm. The Ballroom, set up with a central dancefloor area.